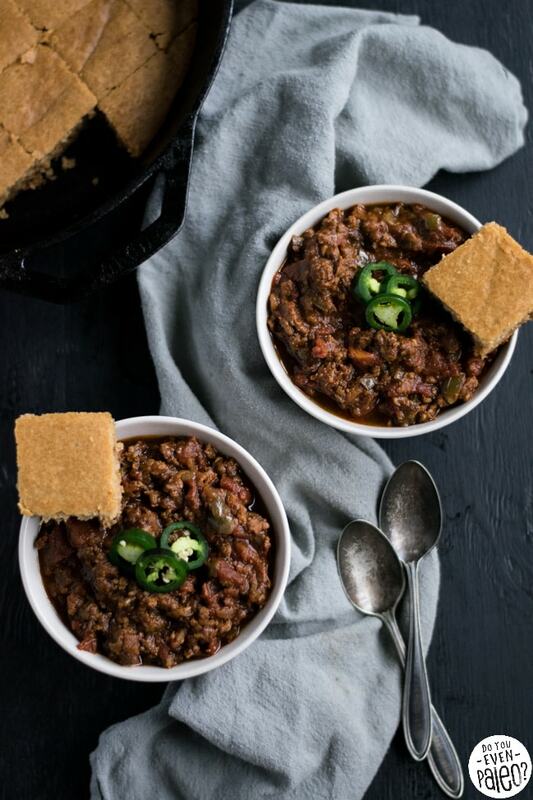 Chunky sweaters, fluffy blankets, and a big bowl of hearty Paleo Sausage Chili with Skillet Cornbread. Winter’s unofficially here in Fargo, ND. This is my way of coping. In North Dakota, fall always seems to get cut short. Sure, we’re known for being cold, but this state isn’t always a frozen tundra… Every year, we’re still sad to say goodbye to the crisp autumn air when the unforgiving chill of winter bumbles in. This year, we really only had a couple weeks of cool autumn air and lush colors before some strong winds gusted in and stole the leaves from the trees. Then we suddenly got our first snowfall and frost of the season. The snow disappeared pretty rapidly—there wasn’t much to begin with—but we’ve got more snow in the forecast and the temperatures have stayed low. I’ve heard it’s supposed to be a really awful winter, unlike our uncharacteristically mild winter last year. 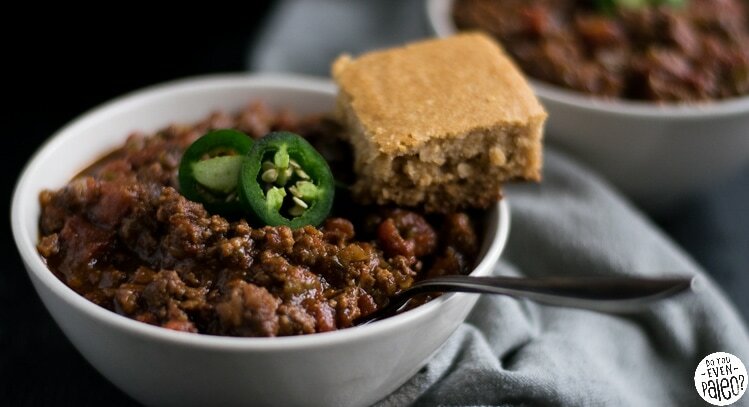 So it’s only fitting to bust out the dutch oven for a spicy, slow-cooked beanless chili. 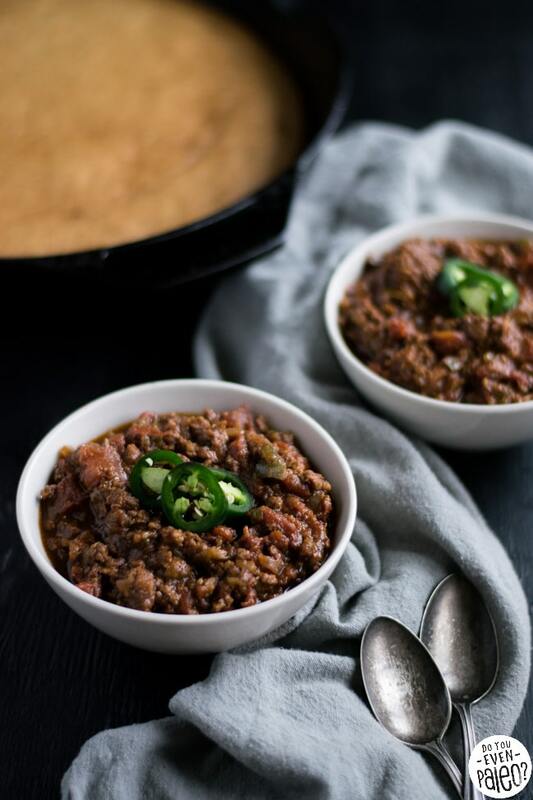 Using hot Italian sausage as the base instead of beef, this chili definitely has some heat behind it! That’s why I decided to whip up a paleo skillet cornbread to go with it. 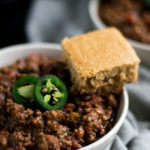 There’s a reason chili and cornbread are served together—sweet, mild cornbread counteracts the spiciness of the chili. And dang, did I fall in love with this cornbread. Whenever I make a new recipe, I fully intend to split everything with my spouse. But when offered this meal, he just wanted the chili. More for me! I legit could have devoured the whole skillet. It’s lightly sweet and fluffy. 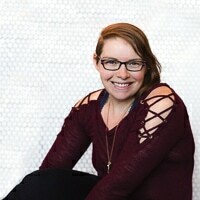 It doesn’t just crumble apart uselessly. Perfect for sopping up the last of the chili from the bowl. But don’t fret if you’re on a Whole30. 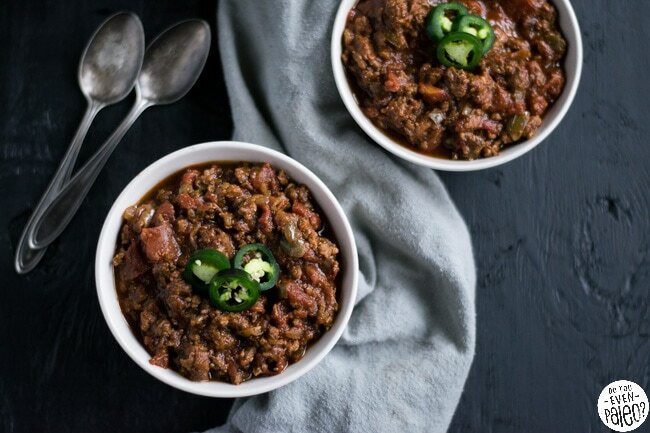 The sausage chili itself is Whole30-friendly. 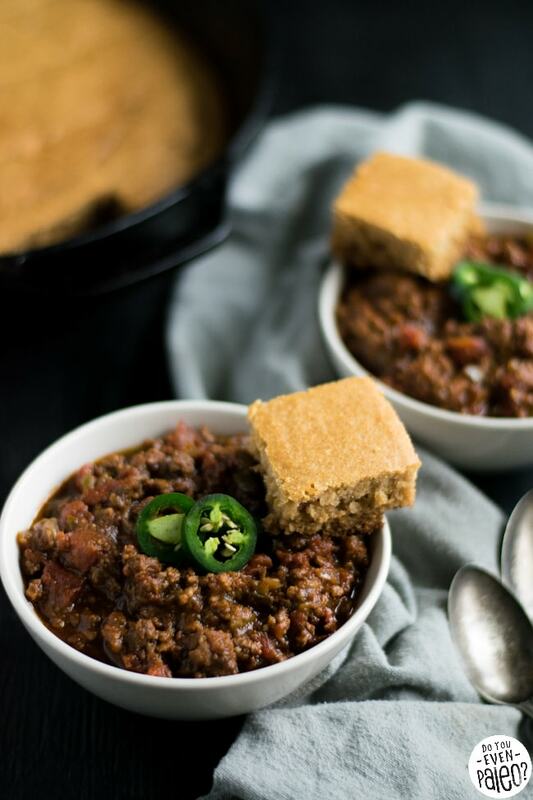 Just skip the cornbread and instead serve the chili with mashed potatoes or mashed sweet potatoes. That’s quite the meal, too! Looking for more cold weather recipes? Try these! Heat 1 teaspoon olive oil in a dutch oven over medium heat. Add the sausage and cook until mostly browned. Transfer sausage to a large plate. Add remaining teaspoon olive oil to the dutch oven. Add garlic, bell pepper, and onion. Cook for 6-8 minutes, until softened. Add chili powder, cumin, salt, black pepper, oregano, thyme, and paprika. Stir to coat the veggies in the spices. Pour the can of crushed tomatoes into the dutch oven and stir. Finally, add the browned sausage and stir. Cover and transfer to the oven. Bake for 2 1/2 to 3 hours. Preheat oven to 350 degrees. In a large bowl, whisk together almond flour, cassava flour, baking soda, and salt. In a separate bowl, mix the eggs, almond milk, ghee, and honey until smooth. Pour wet ingredients into dry ingredients and stir until fully incorporated. Grease a clean, well-seasoned 10” cast iron skillet with a small amount of ghee or olive oil. Pour the batter into the skillet and gently spread to the edges. Bake for 25-30 minutes, until golden brown on top. So good! I love chili! Right? I always forget how amazing it is until I make a new batch! Don't subscribe All Replies to my comments Notify me of followup comments via e-mail. 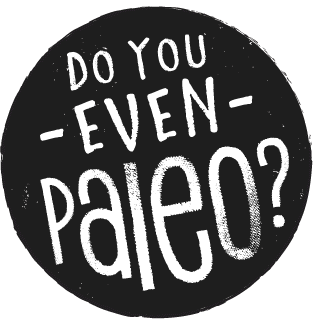 You can also <a href='https://www.doyouevenpaleo.net/comment-subscriptions/?srp=3036&srk=87505361eee98908ddf6ccb8681f50d6&sra=s&srsrc=f'>subscribe</a> without commenting.